stop staring at my january modcloth pick! It’s here! 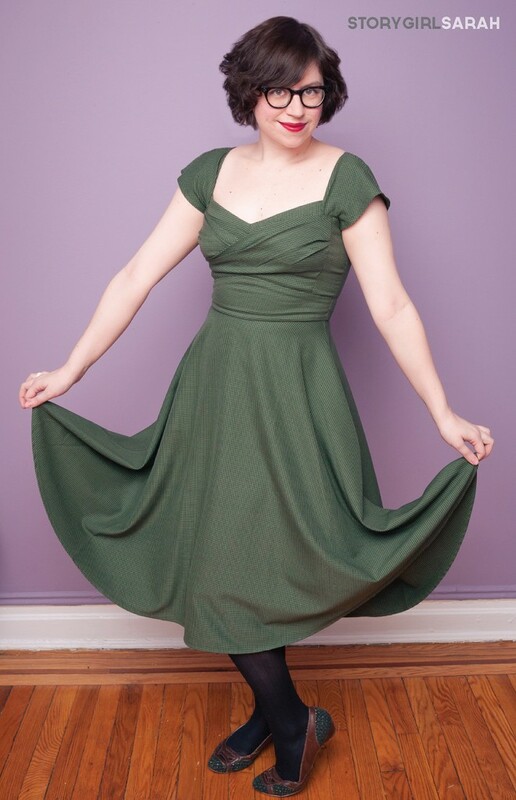 The “Pine All Mine Dress” from Stop Staring I’ve been pining for is finally all mine! As the very first special delivery in my ModCloth Year of Dresses, it already holds a special place in my collection. best of all, it goes perfectly with my new “watchful wisdom” card! First of all, this deep sage green and black houndstooth print is the perfect example of a current trend aligning with the palette of my own personal (and decidedly vintage) style. Stop Staring is a self-described “retro-contemporary brand,” which means you’ll find me and Kim Kardashian wearing the label! This dress is a pear shaped girl’s secret weapon, ladies. This is my second dress from the brand, and both are fabulously flattering, hugging me on top where I run smaller and can get away with a tighter, sexier fit then erasing my lower-body imperfections in a sea of swing skirt. 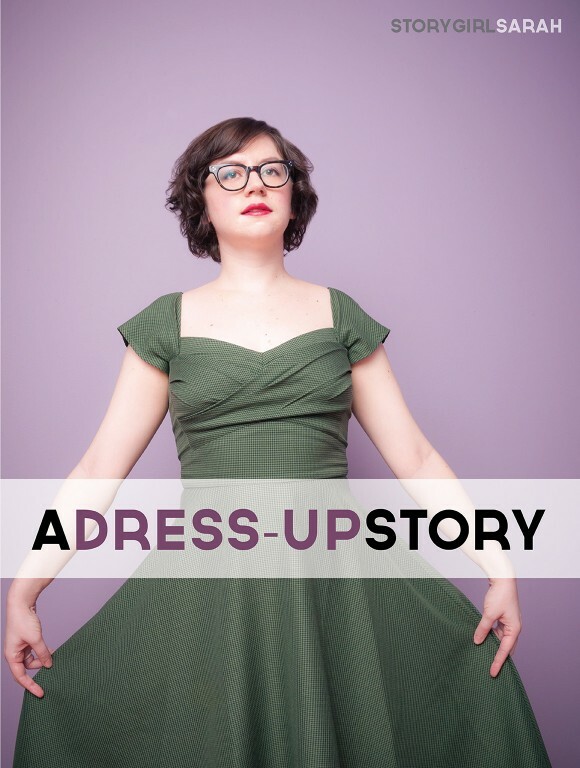 If I can find the right foundation garment, I’d love to try one of Stop Staring’s hip-hugging wiggle dresses, for which they are best known. Think Joan in Mad Men. Meow! All the elements combined – shape, structure, pattern, and, of course, vintage sensibility – create more than a great dress (that twirls really well btw). This dress simply makes me feel wonderful. From the moment I put it on, I felt poised, professional, elegant, smart, romantic, and – amazingly enough – comfortable! And while my dress didn’t come with a price tag thanks to ModCloth, the buoyancy it gives me is priceless. I’ll definitely be a repeat Stop Staring customer well beyond my dream-come-true year with ModCloth. Ah you’re right, it is perfect! Wanna know a secret? I’m going braless in this dress. I tried it because the neckline is so wide I couldn’t hide the straps and I don’t own a great strapless bra. It didn’t matter! The bodice is so supportive, a bra is just not needed. It’s so comfortable! Well that is very daring of you… my mother would be proud! Haha! Yes, this dress pairs well with bra burning! You look so great in this-and I really like how aware you are of what works for you. Makes me want to pay more attention to what works for me. Love your new dress! What a great color on you, and the fit is sooo flattering. Thanks, Cheryl! I absolutely love it!